Will Caligan speaks to us about his companies recent separation from Short Fuse Media – INDIE VOLT! The man at the center of it all, speaks to Indie Volt. Tell our readers a bit more about yourself, Will. Where are you from and how long have you been drawing? I am from North Carolina. I am forty-six years old, married with five kids, three with a previous marriage and two with my wife. I only started drawing when I turned twenty-two. I had done a little sketching before then, but I never really had a desire to do comics until I got out of the Army. When did you start Alpha Dog Studios? The studio was started back in 2008. A group of friends asked me to form a studio that they all could work together in and this was the byproduct of that. You’re the creator of Gun Ghoul, tell us about the title! 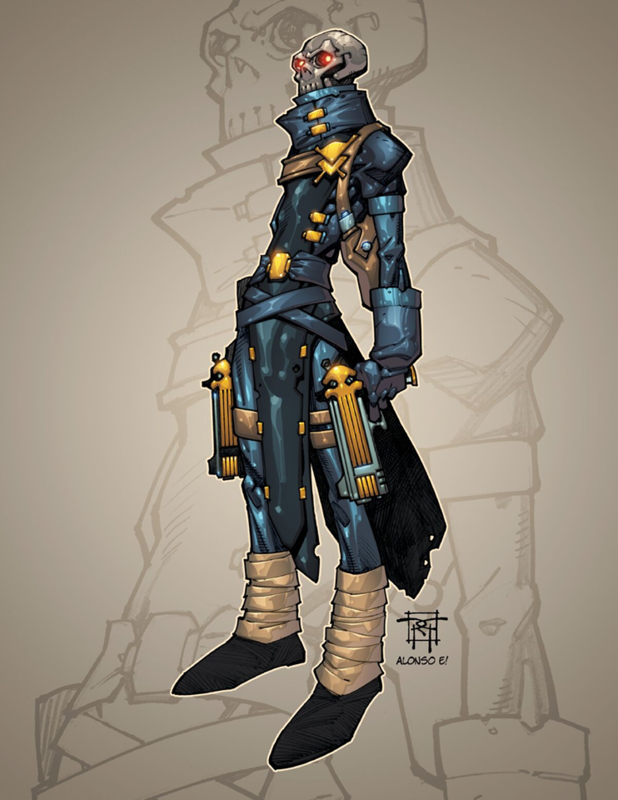 Gun Ghoul is part Ghost Rider and part Mission Impossible. 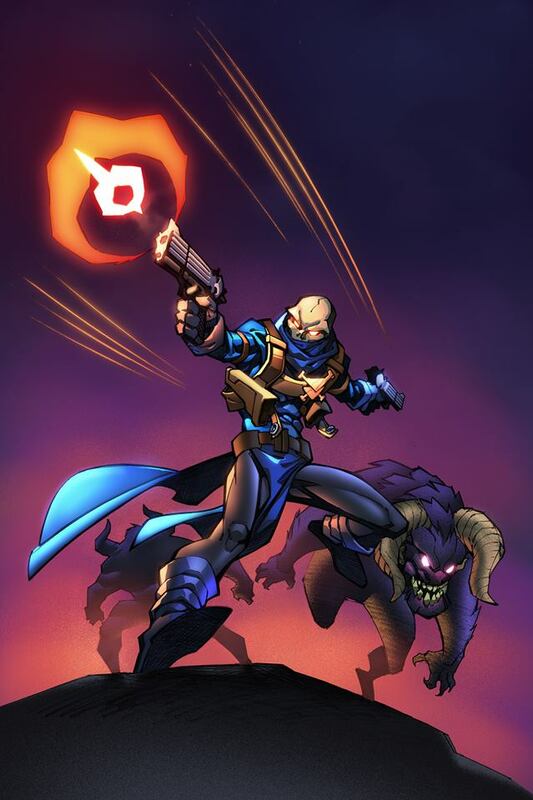 Gun Ghoul is the living embodiment of God’s wrath and justice. He is fed, or given power, by the spirits of those that have been wronged in this life. There’s been a lot lately online about what you’ve been going through. You made some comments that are based in your faith and identity as a Christian. How much of your faith plays into your career as a comic artist, creator or publisher? I don’t really try to mix the two at all but a lot of my stories will have stuff in it that have some roots in my faith. I just make comics to entertain and not shove my beliefs down other’s throats. Now, I have never hid that I am a Christian, but in the last couple of weeks it does seem to be an issue that has caused problems for others which is not my intention. I have never had a problem with Short Fuse firing me. I think every company has a right to work with whomever they want to. It is their company. My issue has and is with how the companies dissolved our relationship. He publicly used my name, and not my company’s name, told everyone that I made offensive comments. The truth is though that I took more hits from other folks than Short Fuse. It just went way out of control. It never should have gotten to this point. Ever. 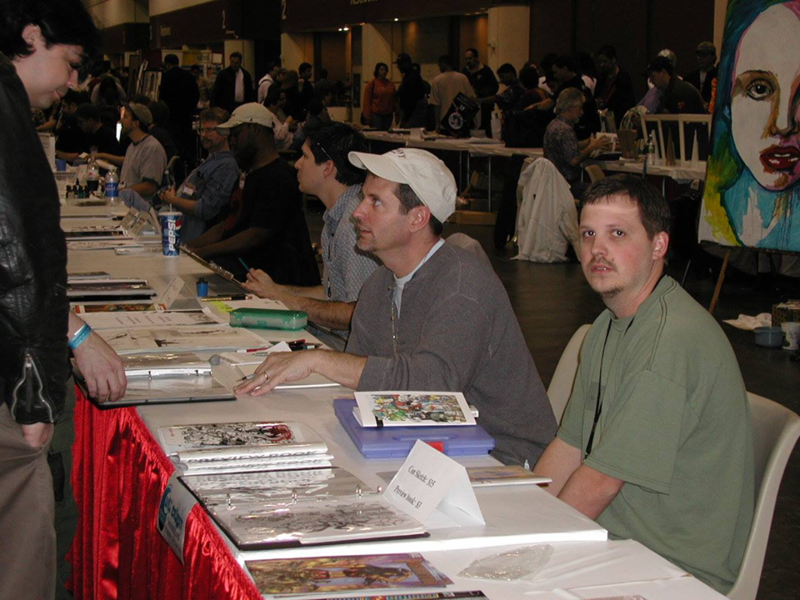 Will Caligan (Green Shirt) tabeling at a comic convention. There are a lot of artist in the industry both mainstream and independent who willingly choose to remain silent on social media about current topics, out of fear that they’ll receive negative backlash, did that cross your mind at all? have no right to come after for living that way. Were you at all disappointed by the decision? Yes, I hate that it came to this. Sean is a great guy. He has helped me a lot and he did pull me out of a situation. I hate that this has caused him harm. I do not regret my stance though. Looking back now, would you change anything? No, either you live who you are or you ain’t living. Living in fear is not a life. The support you’ve gotten online from others, has that helped? Yes, it is a blessing. One of the biggest positives to come out of this is the fact that I see that I have folks that support and love me. There is nothing more important in life than that other than God. Have you had an opportunity to speak with Sean Mack since everything happened? No, he has blocked me. What would you say to him if given the opportunity? just wish it was handled better is all. What’s the future hold for you Will? Are you continuing with the Gun Ghoul series? and up and coming artists. It is why I do the things I do. 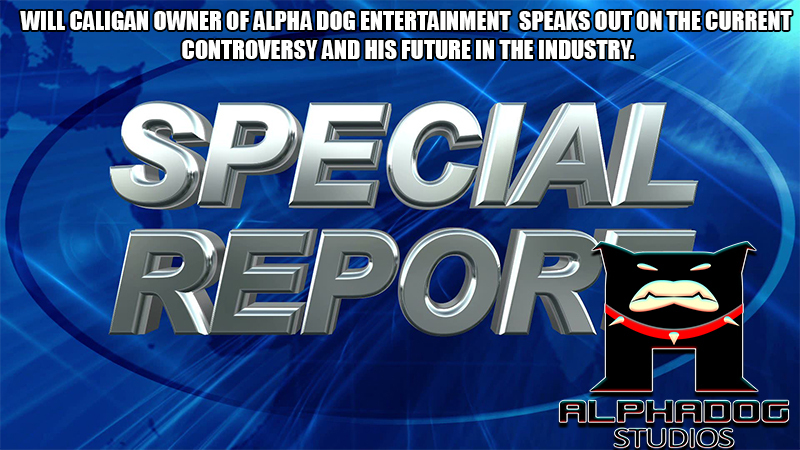 Is there a possibility of running Alpha Dog Entertainment under a new imprint? It is possible. There are a couple folks wanting the brand. I just don’t know what God wants from me right now. On Monday I know there will be a fundraiser for me to work on a book for a big company. So we will see how that goes. The future is always bright. These type of things make you stronger. It trims the bad branches away and leaves a place for new and exciting branches to grow. Looking forward to whatever God has waiting for me.